The ‘how’ is ‘longwindedly’: unless you have an Amazon Fire device, you need to fart about to install it, because Google don’t let you download other app stores from the Google Play store. Restricting competition? Of course. But you can’t buy a branch of Argos from Tesco, can you? It’s just science. After that, it’s like any other app store. Not every app is free, so the range is rather limited, but there are some classy devils in there: the absurdly lovely Monument Valley, and the always reliable Threes! to name but two. 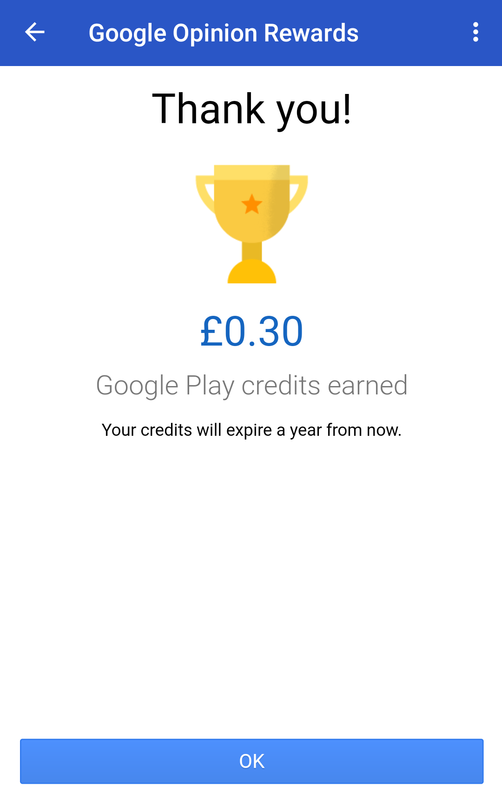 As for the ‘why’, for the developer the monetization is simple: Amazon pay them per minute that customer’s use the app – £0.0013, to be precise. Goat Simulator was an early adopter, and is cited by Amazon as a particular success story. There are at least three other Goat Simulator titles on Underground now, so it’s fair to say it works for them. 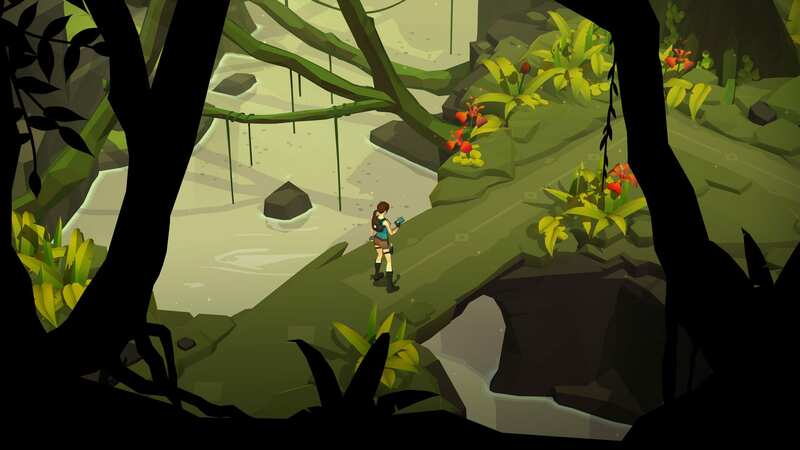 And recently Square Enix added Lara Croft GO, Deus Ex GO and Hitman GO. They shouted fairly loudly about it, which is what reminded me that Amazon Underground exists. They are tremendously welcome additions, and demonstrate one way to view it: as a way of generating a new income stream from slightly older titles. The ‘why’ for Amazon is not so transparent though. Had it been an Amazon Prime benefit, it would be a pretty straightforward analogue of the TV and movie offering. But it’s not. It’s really, actually free. But Amazon Prime – with its moreish unlimited next day delivery – is to a large extent designed to lock people into the Amazon shopping ecosystem, so perhaps this is an attempt to do the same for apps. Certainly it’s a way to get people to go to the slightly bothersome effort of installing the app store. The other factor is data. Amazon no doubt harvest all sorts of usage data, and companies sure love data. 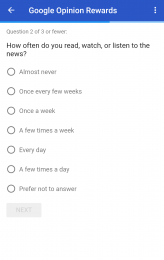 And data is what you can exchange for Google Play credit with Google Opinion Rewards. 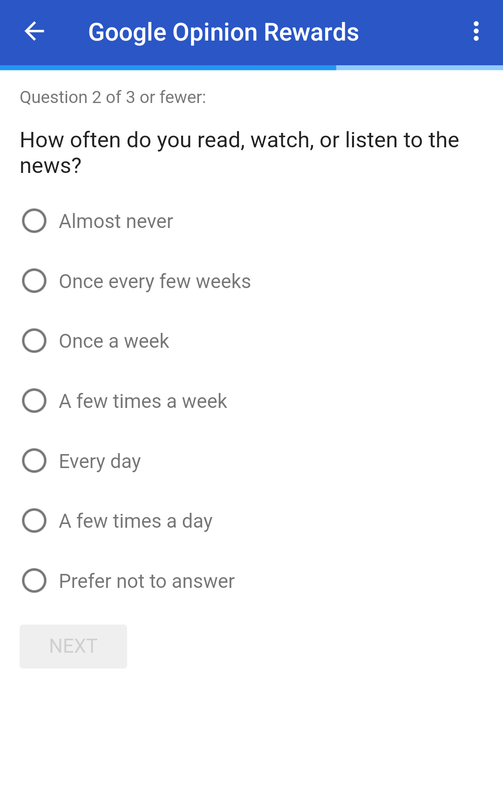 The clincher, though, is that the surveys are incredibly quick: usually three multiple choice questions, easy doable while making a cup of tea or Bovril. Do you like eating out? Here’s 12p. Ever so slightly demeaning. A touch grubby. Wanking for coins. But we all like something for free. 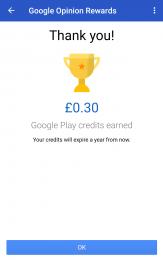 And with surveys being offered regularly, the credit soon builds up, so even ten pound Daydream apps are achievable. Eventually.